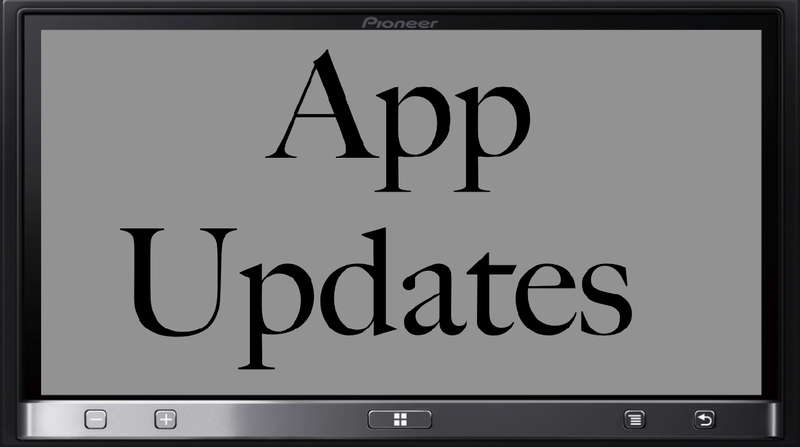 Two AppRadio compatible apps have received updates this week; Pandora Radio and Pioneer's own CarMediaPlayer. Read along for full details about the updates and download links. As you can see, this seems like a major feature upgrade. Currently you can't add new stations to Pandora while connected to AppRadio. I hope this update will allow you to do so. I'll try it out and report back later. You can download the latest version of Pandora Radio from the App Store today. There is no update available for the Android version of the app. I have an AppRadio 2 so haven't had to use CarMediaPlayer ever since. The bug fixes in the lates update will benefit original AppRadio users though. You can download the latest version of CarMediaPlayer from the App Store today. The Android version of the app was not updated. Carmediaplayer is finally a useable app. I had to uninstall/reinstall every damn day before for it to work. Has anyone had an issue where the volume is to low on movies in App Radio? I wish the Pandora app would have these same updates for the Droid phones! I really hate the fact I can't creat new stations on the Appradio. I am still stuck witht eh ones I made 2 years ago!